The latter had enough information to get the laser up and running (which is really easy). What comes next is really just stolen from that site. 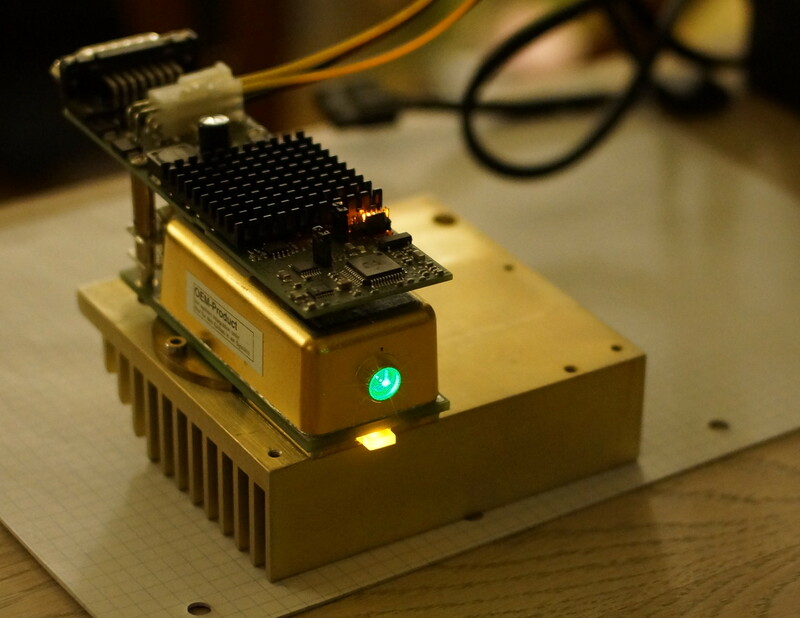 As soon as power is turned on, a green LED starts blinking, and few minutes later the laser starts emitting: As can be seen in the photo, a couple of other status LEDs also light up. 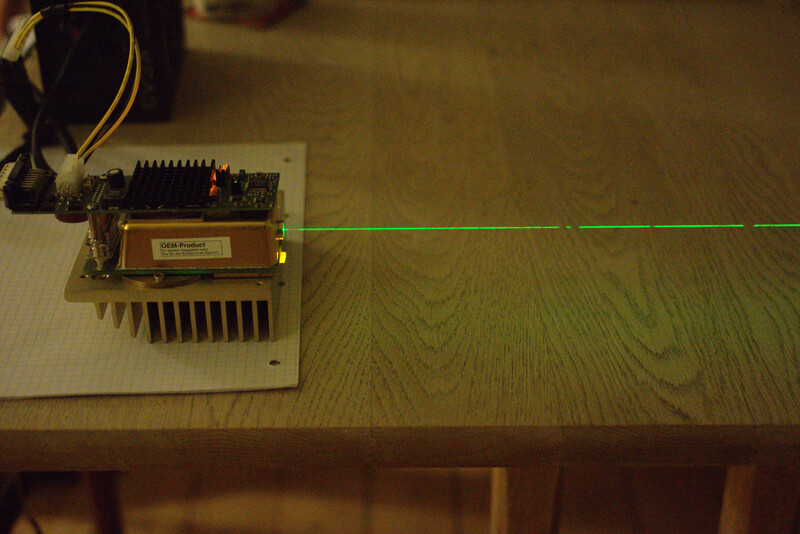 The beam is quite narrow (<1 mm) when exiting the laser cavity, but the divergence is somewhat large and at a distance of just a couple meters, the spot is spread out over a visibly larger area than the laser pointer I use to shine dangerously bright light in the eyes of my students when they ask questions about who buys my clothes. Anyway, I bought the lasers to see how cheap a not-totally-crappy Raman spectrometer could be. I doubt that I’ll ever follow up on that idea though. 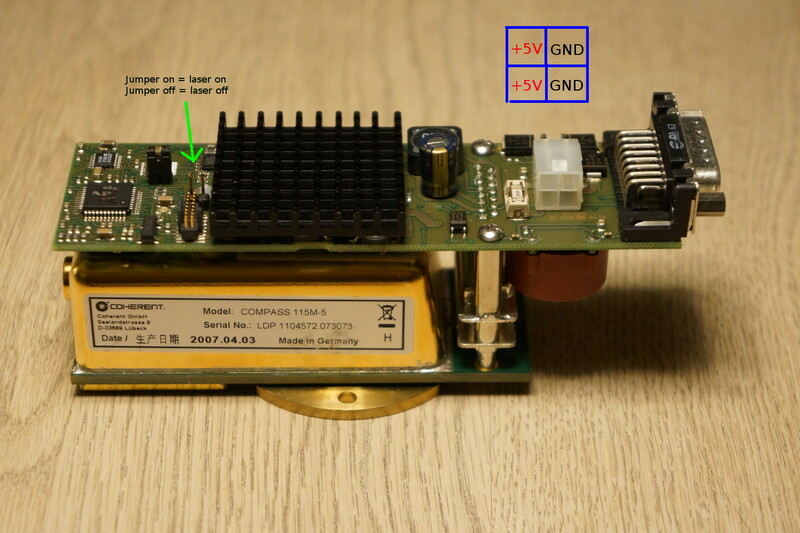 Tomorrow I’ll use the 115M for the alignment of two mirrors in the only Raman spectrometer I’ll likely ever build.